For up to 80 points extra credit, answer each of the four following questions in a full paragraph (100-200 words each). Make specific references to the book (you may quote it). Type it up in MLA format, and submit it on or before December 15. Explain the meaning of “The Way of the Pilgrim” in the book. How do we know the question of self-honesty bothers Franny? (cite examples). 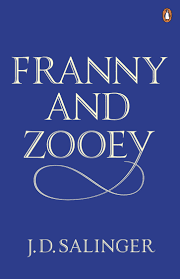 Re-examine the ending and explain what realization Franny has that relieves her of her mental anguish.